We recommend visiting from 8 am until 8 pm-after that time we lock our doors as most residents are asleep. You are welcome to visit 24 hours a day, but please call in advance for after-hours visits to ensure access. How do I find out about recreational programs provided for the resident? We strive to create social and individualized programs to match the capabilities and needs of each resident. 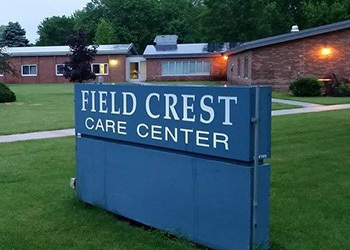 Specific programs include: dice & card games, bingo, church and bible study, resident council, outings, happy hour, stretching, crafts, entertainment/music, gardening, hand massages/manicures, hymn sing, volunteer opportunities for residents, and many others. A monthly calendar is given to each resident and the daily programs are posted in the dining room. We always welcome friends and family to visit and attend our programs. Our social services team assists both residents and their families during transitional periods. They also provide essential information, manage requests and concerns, and help in the care and discharge planning for each resident. They can arrange professional services for: Dental, Vision, Podiatry, Audiology, Power of Attorney, Dementia assessment, Psychosocial and Psychiatric Evaluation, and Individual therapy. Should you wish to have your laundry washed by us, please notify the front office upon admission. Subsequently, if a family/caregiver is going to take care of the laundry at home, please let the nursing station know your plans. Staff will place a sign on the closet door notifying our housekeeping staff to leave the clothing for family pick up. We request that family provide a hamper for clothes and pick it up twice a week. All personal clothing is washed in an industrial washing machine at a temperature of 180 degrees. Make sure your loved ones’ clothing is appropriate for washing and drying in these hot temperatures. Avoid bringing clothing that requires cold or warm water, special care, or is subject to damage and fading. All clothing must be labeled-please bring clothes to a staff member to have it labeled. We recommend approximately five changes of clothing and a pair of comfortable rubber-soled shoes. All articles should be washed and entered into the residents’ personal inventory log upon admission. Other personal items should be marked or engraved for identification. We advise that residents do not keep valuable jewelry or large amounts of cash in the facility. Although we do not have a formal policy stating visitation guidelines, we suggest using the common areas of the facility to meet with your loved one. If it is not possible to visit in one of the common areas, we suggest a limit of three people in a resident room at one time. You may reserve one of the community areas for any special events (birthday, holidays, meals) with notice. Yes, we encourage children to visit. We would love for your family pet to come to visit. Please remember to clean up after them and take the proper safety measures at all times. All pets are to be kept on a leash and should be current on all vaccinations. A copy of a list of current vaccinations must be given to the Recreation Director. Physicians generally see residents upon admission and once every 60 days thereafter. However, our nursing professionals are in constant contact with all of the physicians that visit the facility. Some insurance companies require physicians to visit more often. Check with our nursing staff for further information. Residents may have a leave of absence only with a physician’s authorization, which can be arranged through the nursing staff. Upon arrival and departure, the resident or responsible party must sign the LOA (leave of absence) book, located in the nurse’s office in the dining room. Consider using our Send a Greeting feature on the website. You can choose from a variety of postcards to fill out and mail to your loved one for a small fee. You may also type an email message and send it to us and we will hand deliver it to your loved one. Our email feature is free of charge. For the safety and welfare of all residents and staff, we are a non-smoking facility. Consistent with the provision of special diets, always consult with the nursing staff before bringing food to residents. Any food kept in the resident’s room must be in properly sealed containers. Yes, we have a beautician in our facility weekly. All of the rooms feature a free cable television. Feel free to bring in your own television from home. Please consult with our maintenance director to ensure proper placement according to county fire codes. All of the rooms feature a telephone hookup. Please inquire about service activation. Feel free to bring in your cell phone. WiFi Internet available for residents for a minimal fee. Residents must have a Medicare card that reads “Hospital Insurance.” They must also be admitted to the facility with a physician order within 30 days of a three consecutive night qualifying inpatient hospital stay. A person must have a skilled need for Medicare to cover stay. Generally, during the first 20 days of care, Medicare will pay 100%. For days 21-100, a daily co-insurance co-pay is required. Your Medicare supplement may help cover this co-insurance, based on a plan. Medicare does not cover skilled nursing fees over 100 days. Upon admission, our Registered Dietitian and/or Food Service Director will interview your loved one regarding food preferences and any special dietary needs. Our own food service personnel prepare all the meals. Special care is taken to serve flavorful and appetizing foods. All menus are developed according to prescribed medical diets ordered by the physicians. Should you wish for another food item on a particular day’s menu, please make a staff member aware of your request. This information will be passed on to the Food Service Director and they will try their best to accommodate needs. Our Dietitian and Food Service Director also monitor nutritional status using monthly weights, daily intake records, and relevant lab data. The results of these assessments are discussed at inter-departmental meetings and care conferences. Our primary concern is that your loved one feels comfortable here and that their needs are being met. You should feel secure and at ease with our staff, particularly those providing direct care. If you have any concerns or praise for our staff, contact our Social Services Director. They will be able to address any apprehensions you may have regarding any particular staff members. We employ a full-time Director of Finance for all financial and billing concerns. Should you have any questions regarding these matters, please make an appointment to see our Director of Finance by contacting the front desk/receptionist. The Social Services Director will guide you through the necessary forms required on admission and review the rules and regulations regarding Medicare, Medicaid, and various insurances.